Reporting to the Board of Directors, the Chief Executive Officer (CEO) provides executive leadership and management for the organization’s strategic plan, administration, programs and services and plays a vital role in assuring PEGNL’s success. The CEO is responsible for leadership and implementation of Board policy direction. These responsibilities include providing leadership in strategic planning; ensuring that the regulatory functions are fulfilled; representing PEGNL in regional and national initiatives; and managing the human, financial and material resources of PEGNL. 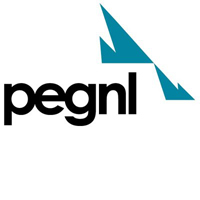 Working in partnership with the Board in its governance role, the CEO will provide leadership to PEGNL staff in the interpretation and implementation of Board policy directions. The CEO will act as the Registrar under the Act and carry out established regulatory functions for both registration and disciplinary processes. If you’re interested in this opportunity, contact Leah Cunningham at lcunningham@kbrs.ca or telephone 1-866-822-6022 or Beverley Evans at bevans@kbrs.ca, or please apply online by clicking “Apply Now” on the button below.